Like so many things in the music industry, getting your foot in the door is the hardest part. So I talked with James Panepinto, music licensing manager and creative director at New York licensing company The Music Playground, about what musicians can do to get their music heard by licensing agents, talent buyers, and music supervisors — and ultimately find success licensing their music. There are a few ways to make the first moves toward getting your music licensed. You can reach out to people you know in the advertising, television, film, podcast, and video game industries directly, and send them your music to start a conversation. You can work with websites like Rumblefish or Taxi.com that act as online libraries, where music supervisors can quickly browse music by keywords and search terms. Or, you can work with a boutique company, like The Music Playground, that will act as a curatorial intermediary between clients and musicians. Naturally, finding a company like this that will work to get your band paid placements is not easy. That’s why I wanted to pick the brain of one of the most revered music licensing agents around. “The Music Playground represents a curated roster of about 200 bands and artists from all over the world,” Panepinto told me. “Music supervisors and ad agencies use us as a resource when looking for music for their projects. We’ll receive a creative brief detailing what is needed for a specific scene, episode, or ad, and we’ll present them with the best options from our roster. The Music Playground has a very involved process when it comes to selecting musicians to include on their roster. They do extensive research and A&R to seek out the talent they want to work with, and they have a dedicated staff team to handle this process. Okay, so what can we musicians do to make our music submission stand out? “What stands out to me from a licensing perspective is when an artist writes and produces a song that is emotionally engaging and consistent across its mood, tone, lyrical themes, and production — meaning that the song paints a distinct picture for the listener,” he explains. “It could be a wide range of moods — dark, hopeful, rowdy, romantic, etc. — and that is what lends itself to working with picture, and that is what grabs my attention. The music licensing process is fairly similar across different mediums, but a variety of factors will make the specific needs of each project distinct and unique. So even if you think your song would be perfect for a movie, that doesn’t mean it couldn’t also be used for an advertisement or a video game. 1. Be organized and have all your assets ready to go at a moment’s notice. In the licensing world, things move really fast. Create links for full-resolution (WAV/AIF) versions of all your songs, because they’re needed for the broadcast mix. Have another folder for MP3s of all your songs, and all your instrumentals. Have your song splits, cowriters, and/or co-publishers clearly defined and ready to send out if a request comes in. Have lyric sheets ready to go for each song. Put all of this in the cloud and have a list of links you can send out at a moment’s notice, even if you’re not at home or at a computer. When a TV show comes calling for these assets, it might be the last day before the mix, and there’s no time to wait around for you to create instrumentals or find your files. 2. 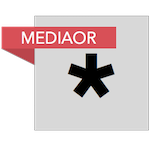 Include your contact information in the metadata of all your files. Label these clearly. Include the artist name and song name in the metadata and the filename, and include an email and a phone number in the metadata. It doesn’t matter how good your song is — if no one knows who wrote it or who controls the rights to it, it will never get licensed. 3. Come equipped with stems. If you really want to be a hero, have stems created for all your music. It’s a tedious process, but stems can help your music get across the finish line if someone wants to customize it to work within a trailer, ad, or TV show. It’s a big game of hurry up and wait — do all the leg work up front so when that license opportunity comes calling, you will be ready.